2019 is going to be the year of the Millennials for supermarkets. Two decades into the eponymous millennium, members of Generation Y will finally outnumber Baby Boomers as the largest living generation in the United States. At the same time, Millennials are entering their prime spending years as more and more of them have children and build families. Now while everyone must buy food, Millennials understand that they don’t have to buy it at the grocery store. Study after study finds Millennials are increasingly dissatisfied with the traditional supermarket experience and open to trying new modes of shopping, such as online ordering. Millennials crave experience over all else, which creates a problem for supermarkets. What does this mean for supermarkets? It means that if they haven’t already started, supermarkets will make significant changes to their stores in 2019 to cater to Millennials and their unique spending habits. Real estate has its maxim of “location, location, location” and when dealing with Millennials, the maxim is “experience, experience, experience.” Millennials prize experience over possessions and orient their life around maximizing positive experiences more than any other generation. Lighting is one of the building blocks on which a retail experience is built. When shoppers enter a store, they immediately notice—consciously or unconsciously—several factors, including cleanliness and overall lighting. 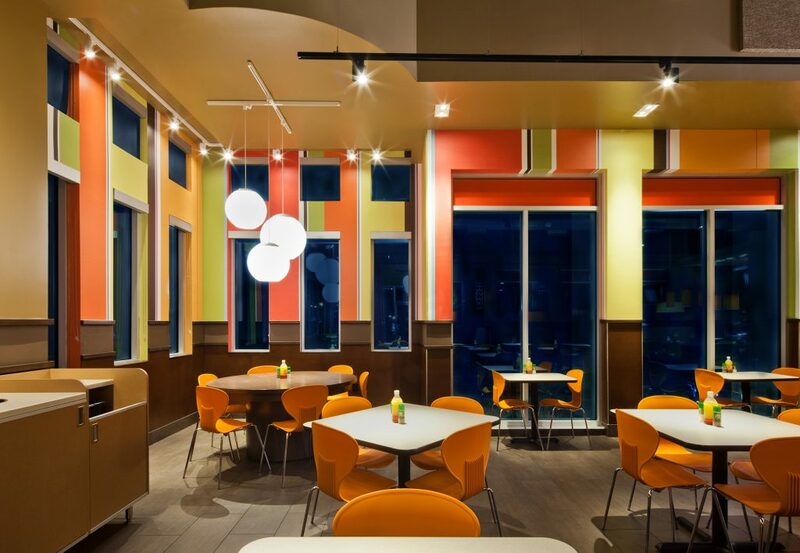 Lighting adds to the overall aesthetics and can directly drive purchasing behavior. The better lit a store is, from its parking lot outside to its display lighting inside, the more attractive it is to customers. Used well, lighting is an effective wayfinding tool and directs people through the store and towards high-margin areas, such as aisle end caps and the perimeter departments. The key is modulating the lighting throughout the store. Nothing is highlighted in a store where everything is lit the same way, but when the light levels are varied, customers are guided to high-margin displays, like a moth to the flame. The high-end retail experience common to expensive clothing stores is coming for supermarkets. Instead of brightly lighting their stores with fluorescents that illuminate everything with a flat light, grocers are embracing the more theatrical lighting styles of deluxe boutiques. Stores shouldn’t be lit evenly because even lighting sends the signal that everything is the same in the store. There’s a big difference between produce and dry goods, between products on end caps and those on the bottom shelf in the middle of the aisle. The key is in the lighting contrast ratios: which means putting more light on products than in the areas around products. Within products, stores need more contrast around high-margin items like produce than around a can of beans. In general, stores need at least three times the light on the target than the ambient light in the surrounding area. Some stores go up to 10 times the light on products compared to the ambient area. These stores often don’t even have any ambient lighting in their high margin areas, instead, relying on accent lighting to light the product and the spillover to provide for the ambient light. The higher the contrast ratio, the more the merchandise display is like a theater, where the audience can’t help but notice the faces on stage that have the spotlight on them. In the supermarket theater, the stars of the show are departments like produce, meat and seafood and prepared foods. Washing the walls of the store with soft light, brightly lit end caps and specialty accent lighting on high-margin products like fresh foods contribute to a high-end retail experience instead of a traditional supermarket experience. Ambient lighting is out, and accent lighting is in. The lighting enhances perceptions of value and Millennials appreciate the experience. While Millennials like the convenience of online shopping, they know fresh doesn’t come out of a mailed package. More than any other generation, they are willing to visit three or more stores as they chase down the freshest food available, according to an Acosta 2017 “Trip Drivers” report. Supermarkets that leverage their fresh offerings can entice Millennials into their stores, where they will likely buy other items as well. With fresh foods, presentation is key, and it all comes down to color quality. Color is the language of fresh and customers want to see produce and meats with vibrant hues. Until now, artificial lights have struggled to render colors well. Halogen lamps are very warm-tinted, and they project heat, while metal halides, fluorescents and early generation LEDs deliver flat colors. 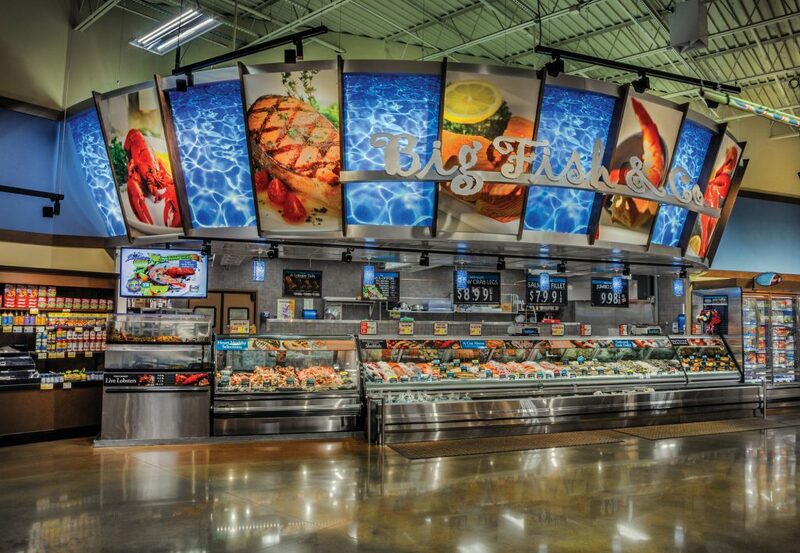 The answer is specialty LED solutions that showcase the natural color in fresh foods. The lights won’t change the color of the food, but they can make its natural color shine. Different foods require different lighting. Silver fish on clear ice looks best under cooler light than beef steaks, which appear most appetizing under LEDs that show both the rich red meat and the crisp white marbling. Thanks to the tunability of LEDs, supermarkets can easily install the ideal light for each product or department, so the fresh food is seen in the best light. The trend of restaurant options in grocery stores— “grocerants” —began a couple years ago, but it is likely to really take off in 2019 as supermarkets scramble to cater to Millennials. In-store dining options at supermarkets have come a long way from simple pizza counters of old. Stores are finding success with fancier options, such as coffee shops, full sit-down restaurants, and beer gardens on the premises. These concepts make up for shrinking dry goods revenues, increase dwell time and are magnets for Millennials. Aside from having good food, these hospitality areas need great lighting. The purpose of in-store eateries is to act as oases for busy shoppers. They are a place to relax and socialize and make for a luxurious shopping experience. These spaces need warm lighting that invites customers and makes the area stand out from the rest of the store and beckons shoppers. The ideal lighting is warm-toned LED lighting. People associate warm lighting with comfort and relaxation (think candlelit dinners or the setting sun). Also, LEDs deliver outstanding energy efficiency, controllability and long lifespan. Early LEDs were known as cool, white lights, but modern LED technology can be warm, cool, or both—cool at full power and glowing warmer as the light is dimmed, emulating the familiar incandescent lamps. 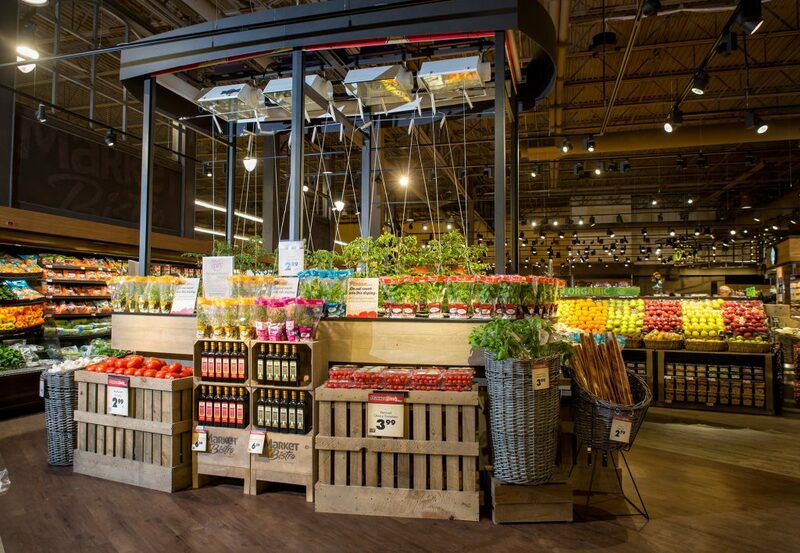 Lighting is a key part of the shopping experience and a critical tool for supermarkets to leverage as they keep up with Millennials’ preferences. 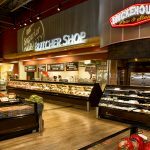 As traditional supermarkets compete with new grocery concepts like small-format stores, C-stores and online shopping, lighting can elevate the shopping experience and set supermarkets apart. Amerlux has been on the forefront of supermarket lighting since the 1980s. 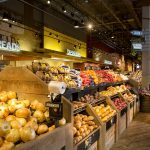 Learn more about their supermarket solutions, including the Fresh Color LEDs that make fresh foods like produce sparkle.